As a managing director of Sequoia Capital India, Shailendra Singh leads the e-commerce and Internet-related investments for one of the most prolific venture capital firms in the country. A chemical engineer from IIT Mumbai who went on to complete his MBA from Harvard Business School, Singh has been responsible for investments in firms such as Mu Sigma, Sourcebits, Justdial and Druva. 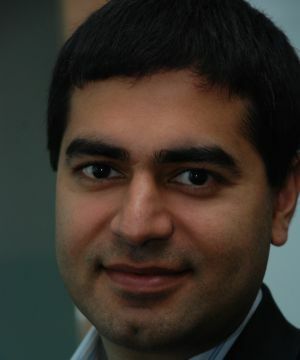 Prior to joining the VC firm in 2006, Singh was a strategy consultant at Bain & Company in New York. In an exclusive interview with VCCircle, he talks about e-commerce valuations, missed opportunities and how some portfolio companies are all set to break through the billion-dollar valuation mark. There are signs of slowdown in general corporate performance due to the global economic scenario. How about the portfolio companies of Sequoia Capital India? Our portfolio companies are doing well at the moment. In fact, we have half a dozen companies on board that may soon become billion-dollar entities in market value. There are a few companies which are still private, but we expect them to do quite well. Quite a few of our portfolio companies are close to earning $100 million in revenues in the next 18-30 months. And half of them will be billion-dollar firms in market cap. Moreover, we are not planning any exit just now. We will only exit the companies once they cross that billion-dollar landmark and that goal may be achieved in near term. You have bet big money on the e-commerce sector. Is there a significant rise in the number of online customers? We only think of users who matter and not the total number of users. In other words, those who really matter are the 20-30 million users who transact online and not the 80 million people who just go online every day. Most Internet users, especially those at the bottom of the pyramid, don't feel comfortable about online transactions. But over a period of time, they will have the confidence to transact online â€“ by looking at their peers, friends and family members. Today, only one-fourth of the Internet users are transacting online, compared to the total number of Internet users who surf the Web, check e-mail, read online or spend time on social networks. We see a lot of e-commerce companies nowadays. But what do you think of their current valuations? Are those realistic or inflated? Current e-commerce valuations are surely inflated. Of course, they have massive potential â€“ so apparent from the fact that consumers are going online and transacting like never before. During the past 12-18 months, every investor and every company had been positively surprised by such growth. In fact, most companies have actually surpassed their own forecast. Fundamentally, you see this kind of valuation because companies are doing well and transactions are happening much more than people expected 9 or 12 months ago. So that resulted in inflated expectations. As you may know, valuation is the measure of future expectations. When it comes to valuations, investors consider how the company is positioned today and what the company is expected to be in future. It's this kind of outperformance-versus-expectations that has resulted in feeling that the future is rosier than anticipated. Plus, it is also driven by what's happening in China, Brazil, Russia and other emerging markets. Just look at Taobao which is an online auction site for customer-to-customer trading and is subsidiary of Alibaba Group of China. It has put all of Indian e-commerce firms to shame. That company does 50,000 transactions per minute and no company in India does even 10,000 transactions per day. Of course, a few firms are approaching the 10,000 mark and if that's where we are going, you would certainly expect a bubble type valuation environment. The answer is somewhere in the middle and it is very far from Taobao. This kind of development gives the investors the leap of faith. We may not get there yet but being closer to them means a fairly big number. Investors today are looking at China and other markets, and if this trend continues, e-commerce will certainly become big. I think very large companies will be built in India who will operate across the e-commerce space. And along the way, a lot of companies will have lofty valuations, execute poorly and consequently, will go down. Can you tell us more about the emerging trends in e-commerce? Currently, customer centricity is probably very average or even poor. But we will find companies who will invest more dollars in improving the consumer experience and local logistics. We have seen a few companies already doing that and many more may follow suit. Moreover, steep discounting will be in vogue while e-commerce firms churn out more customer-friendly policies in terms of pre-shipping, delivery and return of goods. Overall, these companies will have low profit margins if they stick to aggressive discount rates. The premise of good e-commerce business is customer centricity and customer service. We will see many e-commerce players invest into warehouses, local logistics, aggressive pricing and aggressive policies to ensure growth. In e-commerce companies, mode of payment is extremely critical and as an investor, we find that cash on delivery (COD) has solved the problem to some extent but not completely. So we have also aggressively invested in payment solutions companies, as we see ample growth opportunities in areas like mobile payment, COD and online payment. This is another facet of e-commerce that's not yet fully realised. That's brings us to another facet of Internet business.What is happening in the large data storage segment and what are your views for opportunities in that space? Big Data will require adequate storage, backup, analytics and infrastructure, and that seem to happening all around us. 'Large data' storage segment is simply exploding as the Big Data concept seems to be taking over. In fact, you will find Big Data and analytics components everywhere due to the data explosion generated by big companies. The other key segment is Cloud/SaaS. We are very keen to help companies who want to go global from India. We do think that the time has come when a small Indian company can actually compete with those in the Silicon Valley. This kind of scenario didn't exist three or four years ago. At that time, investors had less conviction and thought it was a rare scenario. But now the time has arrived to help small companies go global. Therefore, we are actively helping many companies to set up shop in the USA. There is the Cloud theme, the Big Data theme, the India consumer Internet theme. These are the three themes we are currently pursuing. In India, we mostly focus on consumer Internet but we have a strong global focus when it comes to Cloud and Big Data. While making an investment, what kind of start-ups do you look at? When we want to make an investment, we primarily look at the philosophy and motivation of the founder and his commitment to business. We also try to comprehend their way of thinking, what they have done in the past and what progress they have made. For instance, early-stage companies might have made progress with very limited resources since its inception. But that kind of growth tells an investor a lot about the company. The founder's philosophy and motivation matter even more because great companies always have that special DNA and we are always trying to spot it. Next in the checklist is product quality. If the company's product can delight consumers and meet their requirements, that's undoubtedly a plus and lots of other things can subsequently fall into place. Delighting consumers is a primary requirement and when that happens, we do feel encouraged. We then think this company has a good future. Finally, we look closely at how companies operate. Attention to details is very important in such cases. In a euphoric market, lots of people jump on the entrepreneurial bandwagon trying to do something different. But we need to know how deeply they care about the little things that matter before the big things can get right. When rubber meets the road, can these guys execute and deliver? These are the few things that matter most when we approach a company. How do see entrepreneurial activity shaping in Bangalore or what's also called India's Silicon Valley? It's just fabulous and has never been so good. We at Sequoia have come across quite a few talented entrepreneurs. There are lots of good companies in and around Bangalore and lots of high quality people. Some of the high quality individuals are former employees of InMobi, Flipkart, VIA and are doing interesting stuff. So we are excited about the quality of entrepreneurs. Also, the market has evolved to a point where we see better plans and more innovative thinking than they used to be two or three years ago. That is another good point and we feel pretty elated about it. So how does the deal pipeline look at present? We have done more than 10 early-stage investments this year. These include seed funding, as well as series A investments. A few companies prefer to keep it low key and don't want people to know about those transactions. Another reason being is that, when an announcement is made, it inspires few copycats to come and imitate. Among your portfolio companies, which have beaten your expectations? Justdial, VIA and Mu Sigma are really very good. Fashion and You is also interesting. Finally, if you are asked about any particular company that you regret not investing in, which one would you pick? It's Flipkart. Those were very early days, even before Accel Partners came on board. We pushed our investors very hard but it didn't materialise.